LinkedIn is a great platform for finding and making contacts, and keeping in touch with what people are doing, where they’re working and how long they’ve been there. It does have a few limitations though – particularly its messaging system. 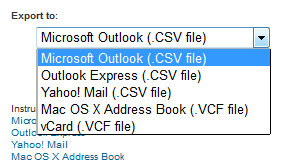 Wouldn’t it be better if you could make more use of the contacts you’ve made on LinkedIn and export them into a more usable format, such as into a CSV file or a Microsoft Excel spreadsheet? Well, in fact, you can – or at least, at the moment you can. There is a very well hidden feature on LinkedIn that lets you export your connections into a program such as Excel. 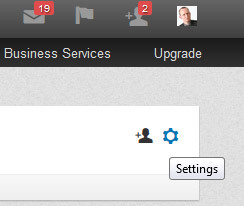 The feature was removed by LinkedIn last year, but they quickly reinstated it again following a deluge of complaints. Whether or not LinkedIn retains the feature going forward, or perhaps even makes it a feature exclusive to Premium accounts, is anyone’s guess. Now you have the file, you can use Excel to open the file of your connections. It will give you details such as name, job title, company, email address etc. – the only thing it doesn’t provide is phone number, sadly. You can now use this data to contact your connections using your own email, which is a much nicer way of contacting someone than using the LinkedIn messaging system. If you thought this tip was helpful, we have many more like it in our LinkedIn Business Diploma Course. The course is £190 but, by using the discount code: LINK29, you can get the course for just £29 for a limited time. Engage Web liked this on Facebook.